Notice that posting is normally restricted to DARK members! This page describes how to write a post or project page for DARK’s homepage. For a detailed description please refer to the online documentation for Jekyll and Skinny Bones. The following is just a brief overview of some Markdown features. Text should be submitted in Markdown format. Several online Markdown preview tools are available, such as Markdown Dingus. See markdown-tools for an overview. I would highly recommend the Markdown cheat sheet as a quick reference. Remember that Markdown does not specify styling such as fonts etc., this is left to the Cascading Style Sheets. Thus the contents are seperated from the styling, ensuring a consistent styling across all pages, posts and projects. A “teaser” picture used in “Project” or “Blog” listings. Its size should be H ∗ W = 400px ∗ 250px. 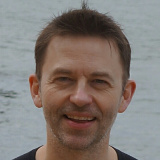 An author picture with size H ∗ W = 160px ∗ 160px (if not supplied previously). Other pictures and images should preferably be in “wide screen” format such as 1:1.6 height to width ratio. In order to reduce load times, the width should be limited to 1200px and the jpg format should be used if applicable. A recommended picture and image format is H ∗ W = 640px ∗ 1024px. Import the image using Open…. Crop the image to correct height to width ratio using the Rectangle Select and Crop to Selection tools. Then scale the image to desired resolution using the Scale Image command. Finally export the image to in the jpg format using the Export As… command, please use “jpg” instead of “JPG” file extension. This Markdown file can be found here, notice that it is zipped to prevent Jekyll from processing it.